This is the revised version of the little white dog tea cosy. You’ll need 4x50g balls of Passioknit Cassowary, in White. Knit throughout with two strands together. Alternatively, you could use 1 strand of 8 ply woollen yarn together with 1 strand of fluffy yarn. Use two strands of Cassowary worked together throughout the project. This will produce a firm thick fabric; perfect for keeping the tea in your pot nice and warm. Next row, K1, (increase in next st, K1) to the end of the row. (30 stitches). Row 6. K2, K2 tog, knit to last 4 stitches, K2 tog, K2. Using a pair of double pointed needles, cast on 3 sts, and work an I-cord for 8 cm. Oops, I've been busy making tea cosies, and haven't posted on the blog in ages. So here's an update.. 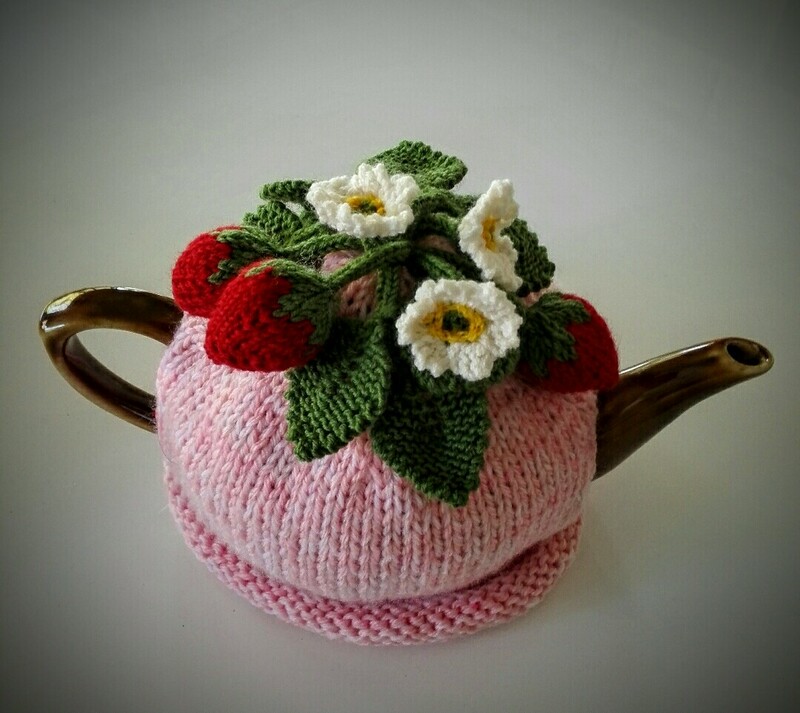 Entries for the 2016 Tea Cosy Competition are due in by 1st July. Entries can be posted to Post Office Box 109, East Ringwood, Victoria, 3135. You may have noticed that Spotlight, in their current issue of 'Get Creative' magazine, are promoting the Tea Cosy Competition, and have asked people to send their entries to Spotlight head office in South Melbourne. From there, they'll courier them out to me asap after the 1st July. If you live in Melbourne, tea cosies can be dropped off at Maroondah Handicrafts, Bedford Rd, East Ringwood. Also at Our Little Caravan, in Westerfield Drive, Notting Hill. Café Orchard, in Hopetoun Rd Park Orchards, will also collect tea cosies for us. And Warratina Lavender Farm tearooms is another drop-off point. This year, prizes have been donated by Bendigo Bank, Bendigo Woollen Mills, Spotlight Stores; still working on more. Prizes for raffles have been donated by Angela Leung and Marg Hartley. Thanks to those ladies. The display is on once again at the Warratina Lavender Farm, in Quayle Rd, Wandin Yallock, from 9th to 17th July. It will be open from 10-4 every day; the entrance fee is a gold coin donation to the Cancer Council. All the tea cosies at the exhibition are for sale; they can be picked up or posted at the end of the display. Some that were made in 2014 or 2015, and haven't yet been sold, can be purchased and taken on the day of your visit. 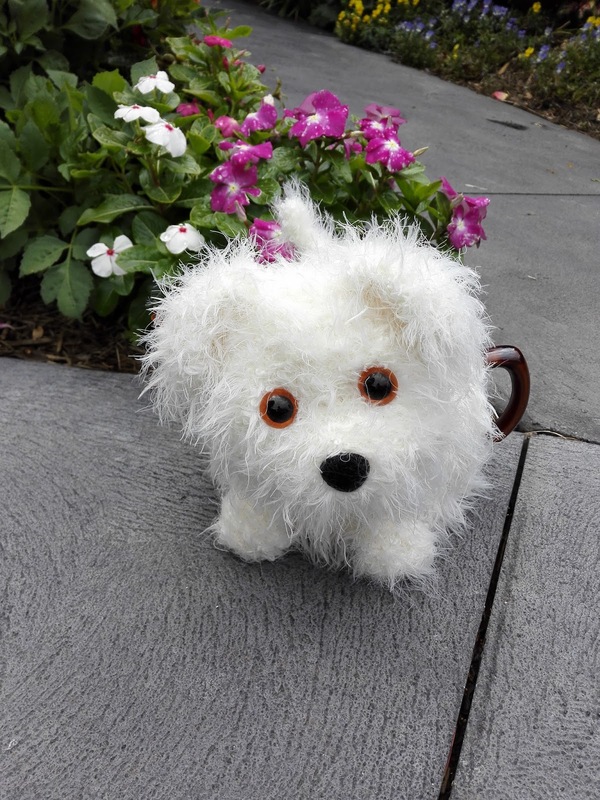 100% of the sale price of the tea cosies is donated to the Cancer Council. A new idea for this year....we've bought some new teapots, and Kathy and I are making tea cosies for these, to be sold together as a unit, for those people who may prefer to buy the pot and cosy together. These will be available for immediate sale. A tea cosy to inspire you.